As North Carolina’s eye doctors, optometrists center everything they do on the belief that happier, healthier lives begin with healthy eyes. Optometrists form lifelong relationships with their patients, and through regular, comprehensive eye exams they diagnose, treat and manage eye disease and injuries. Optometrists prescribe corrective lenses and glasses, and help patients maintain good eye health for life. 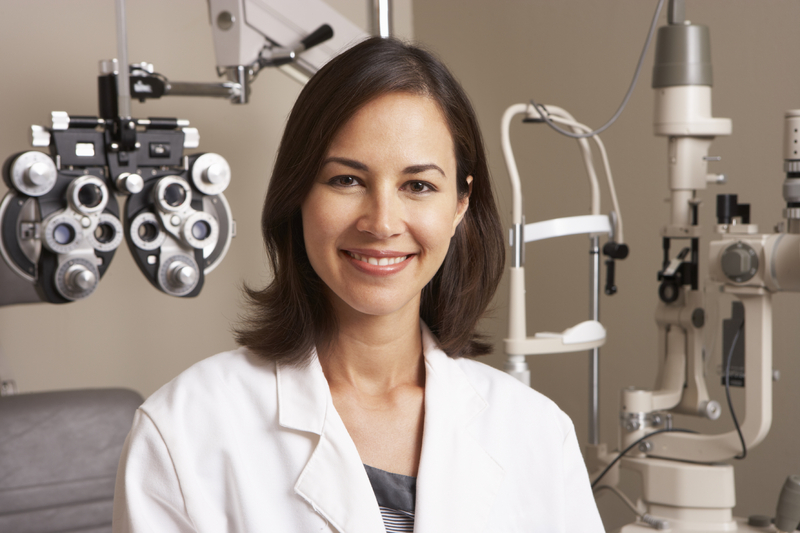 Optometrists are North Carolina’s front line providers of eye care. Optometrists utilize extensive medical training and eye health knowledge to diagnose, triage and treat a wide range of eye conditions and injuries. It’s easy to connect with a local optometrist and initiate a partnership for lifelong eye health and overall well-being. An already impressive, but still growing number of optometrists provide superior eye care throughout the state—no matter where you live. You do not need to live in a metropolitan area to receive high-caliber care; optometrists have a strong presence in rural North Carolina communities as well. With the inclusion of pediatric eye care services and other preventive care in the Affordable Care Act, and the large number of insurance programs accepted by most optometrists, eye care has become even more accessible to more North Carolinians. Vision consistently ranks as the most valued of senses, as it allows our lives to be fulfilled in a multitude of ways. As North Carolina’s eye doctors, optometrists understand the importance of vision and good eye health and provide lifelong, relational care to all patients. Regular visits to your optometrist serve as preventive care for your eyes, which is beneficial to your overall health. Through comprehensive eye exams, optometrists can diagnose and treat eye injuries and disease, as well as detect complex health conditions such as high blood pressure and cholesterol. When these discoveries are made, they team with patients’ primary care providers to help heal the whole patient. Optometrists are not just highly trained medical professionals; they are progressive leaders committed to the profession and to the communities they call home. Many North Carolina optometrists hold leadership positions in communities and civic organizations throughout the state, determined to improve the health and well-being of their patients and the visibility of the field of optometry. As North Carolina’s eye doctors, optometrists provide community screenings and clinics, and promote good eye health practices for life. Optometrists advocate for greater access to eye care services to meet our state’s eye health needs. Optometrists complete pre-professional undergraduate education in a college or university and four years of professional education at a college of optometry, leading to a doctor of optometry (O.D.) degree. Some optometrists complete an optional residency in a specific area of practice. Optometrists in North Carolina have one of the largest scopes of practice compared to optometrists in other states. To practice optometry in North Carolina, optometrists must pass the North Carolina Optometry Board's Examination for Licensure. This exam is known as one of the most comprehensive optometry board exams in the country. Licenses are then renewed on an annual basis. To renewal a license, optometrists must obtain a certain number of continuing education credit per year. The North Carolina Optometric Society offers a significant amount of continuing education courses throughout the year.